February 24, 2016 – The Nevada Hospital Association (NHA) recently endorsed the recommended guidelines for all NHA members to address the misuse of controlled substance prescriptions.  The Nevada Prescription Monitoring Program, a tracking system that determines if a patient is receiving controlled substance prescriptions from more than one provider.  The Good Samaritan Drug Overdose Act which authorizes the possession, storage, administration and dispensing of opioid antagonists. The guidelines establish best practices for prescribers and pharmacists for screening and prescribing controlled substances and opioid antagonists in a hospital emergency department or practitioners discharging an in-patient to home. The guidelines also recognize that each patient’s medical condition is unique and they are not meant to interfere with or replace the professional judgement of a treating clinician. Overdose is a major public health problem and is now the leading cause of accidental death in the nation. According to a 2013 report, Nevada has the fourth-highest drug overdose mortality rate in the United States, with 20.7 per 100,000 people suffering drug overdose fatalities. This is an 80 percent increase in overdose deaths since 1999, when the rate was 11.5 per 100,000. 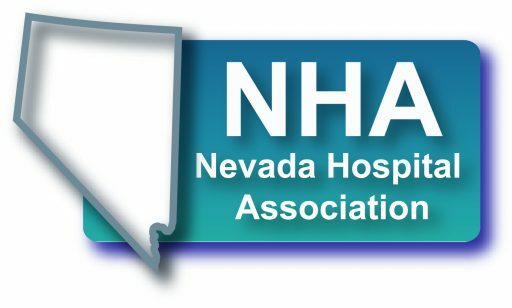 The Nevada Hospital Association is a not-for-profit, statewide trade association representing Nevada’s acute care hospitals along with psychiatric, rehabilitation and other specialty hospitals as well as health-related agencies and organizations throughout the state. Allied with the American Hospital Association, the NHA is an independent organization headquartered in Reno, Nevada. Formally established in 1960 and incorporated in 1971, the NHA was created by hospital administrators to provide a unified forum for all types of hospitals to address issues including reimbursement, worker’s compensation, professional liability and continuing education, among others.